In 1795, The Philadelphia Minerva published the lyrics to "Women's Rights", an ode to the suffrage movement sung to the tune of "God Save the King." From plantations, to picket lines and prison cells music has long been the sonic manifestation of the soul, spirit and rage of our struggles. Music has passed from generation to generation carrying people's histories. Throughout the decades, peoples' struggle has been defined by anthemic choruses and refrains that crystallized social movements in song. 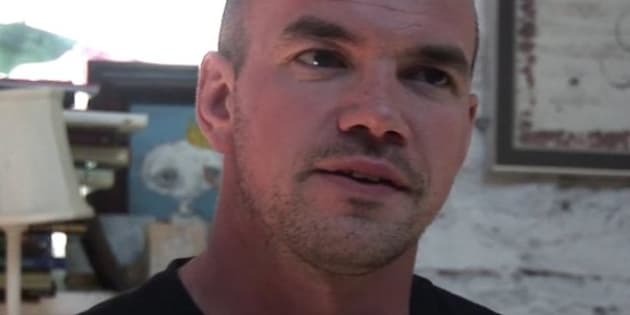 Last week, Tim DeChristopher was sentenced to two years in prison for disrupting a land auction in Utah in 2008. When I first heard the news it was hard to fight off the sense of despair that crept up, but then I remembered a remark Tim had made that the climate justice movement would only truly be a movement when we sang like one. I was reminded of stories about organizers from the Student Non-violent Coordinating Committee (SNCC) raising their voices to call out a gospel chorus as they were carted off to jail. I plugged in my headphones and a few songs later my resolve had renewed. So here's my playlist for manning the barricades, what's yours? 1. Strike Anywhere, "Blackbirds Roar"
can be dispossessed everytime we organize." 2. Rebel Diaz, "Which Side Are You On?" It's definitely no Pete Seeger version, but its one of my favorite updates of the labour movement classic "Which Side Are You On?" 3. Chuck Ragan, "Coal Tattoo"
When I spoke with Hot Water Music singer Chuck Ragan a few months ago, he mentioned that he had been given an entire book of old coal mining songs. Here's hoping that as the movement to shut down mountaintop removal mining fights to defend the history of resistance and mining in Appalachia starts to resurrect these songs, and I can't think of many better folks to lay them down than Chuck. 4. Tim Barry, "Prosser's Gabriel"
When former Avail frontman turned acoustic guitar-toting vagabond Tim Barry penned this song who could have guessed that it would become the unofficial anthem of the movement to reclaim a slave burial site that sits beneath a university parking lot in Richmond, VA. Earlier this year the city announced that the parking lot was being returned to the community to become a proper memorial. 5. Propagandhi, "Rock for Sustainable Capitalism"
As both a born and raised Edmontonian and Oilers fan, any song which uses Steve Smith's own goal-playoff run killer as an analogy for social movements and characterizes the World Bank as the Calgary Flames gets my thumbs up. 6. Tom Gabel, "Anna Is a Stool Pigeon"
7. Reflection Eternal, "Ballad of the Black Gold"
A great jam that explains the corruption and crisis of the fossil fuel economy that you can bob your head to. 9. Frank Turner, "Love, Ire and Song"